I would agree that the current downturn in interest in nephrology is disappointing. I appreciate the good efforts by the ASN and others to analyze the problem and to develop plans for boosting interest. When the problem is considered in the context of classical market dynamics the contours of the problem take form. The supply, the number of available fellowship positions, is fairly stable. Demand, the number of suitable applicants has declined precipitously. Demand side market instability can be difficult to remedy in some situations- Blackberry or Sears. That is very unlikely to be the case for nephrology. However, in the short term, all efforts should be on increasing demand. There is no reason to reduce supply, the market will take care of that naturally, less attractive programs are no longer competitive for any but the most marginal candidates. It is interesting that one atypical market dynamic in nephrology is localization; that is, scarcity of demand creates great pressure on programs to retain their home program internal medicine (IM) candidates. Scarcity of demand could also destabilize markets by leading to "bad" behavior; unethical efforts to secure candidates. Ultimately, increasing interest in nephrology will take time. 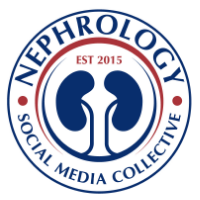 We should maintain a focused national effort of promoting the highly attractive features of our specialty and continue the good recent work on analyzing IM residents perceptions of nephrology. Decreasing the number of fellowship positions is the most straightforward way of increasing demand. However, I must caution the reader about this strategy. As you can tell from the tweets above, most people want the "weaker" programs to sacrifice their fellowship spots. I guess a "weaker" program is defined as one that cannot attract candidates. I'm not sure that such a definition is valid. There are many programs that cannot attract candidates for reasons other than being inherently weak. Take the following as an example. There are a number of programs that are undesirable because of the location in which they exist. Programs in cities that are financially unsound, riddled with crime, or located in areas with a harsh climate can experience lackluster recruiting. These recruitment failures are not because the programs themselves are "weak"; indeed these programs may have terrific first-time board passing rates or have over 90% of their graduating fellows practicing nephrology after 5 years. These programs, despite offering a great nephrology training, are victims of the pressures of their local and political environments -- neither of which they control. Should these programs decrease the number of positions they offer because they are considered "weak"? Are they inherently "weak" at all? Keep in mind that many graduating fellows begin their practice in close geographic proximity to where they trained. If we demand that "weak" programs decrease their complement of fellowship positions, are we indirectly hurting the CKD and ESRD population that those programs serve? If these programs are asked to make such a sacrifice, from where will they get nephrologists to care for their patient population? For these reasons, I ask that you reconsider your recommendation to have "weak" programs "close up shop" first. A reduction in fellowship spots across the board would hurt programs that, through no fault of their own, are victims of their local geo-political environments. The burden of decreasing fellowship positions should fall on all training programs; an equitable distribution of the pain. We might want to reconsider asking a few programs to shoulder the "lions share" of the burden. Nephrology is a dependent speciality. Dependent on vascular surgeons, interventional radiologists, transplant surgeons, intensivists etc. reimbursement is Medicare dependent. Patients are usually non compliant. Call in private practice is brutal. Inpatient volumes are high. It's busy, busy, busy. Too many rules and paperwork. No real ground breaking or earth shattering recent discoveries. Pay less than Hospitalist and that too a negative lifestyle. Who cares. Why combine with critical care. Why do intensivists do not do a nephrology fellowship. Nephrologist depends on Intensivist an Intensivist can run a CRRT machine with out a nephrologist. Prolong training for what. People are running away from nephrology. Do you seriously think they will waste on more year in your academic ivory tower. Hospitalist, cardiology, critical care, ang GI is the way to go. WOW!!! This is just unbelievable. We can claim all we want that Nephrology is the intellectually one of the best fields and all that but at the end of the day one needs to make a living. The job market is in dumps especially if one needs visa sponsorship. We (Me and atleast 6 more guys that I know- all on visa) have been looking for last 5 months with nothing decent came up. Now we have started looking for IM/hospitalist jobs and will soon be signing up. Why would anyone of us encourage a resident to go for Nephrology no matter how much we like it?